We had to go to New Orleans for one dream of mine to come true. Do you remember your childhood dreams? Did you dream of getting married to a royal (or never being married)? Having a big family (or not)? Having a nice home with a garden and a white picket fence? Having a nice car? A successful career? How about being an astronaut, fireman, supermodel, or actor? Some people dream of being a talented cook and opening a restaurant. Not me. It’s a dream of mine to sing like a rock star in front of a crowd of enthusiastic fans. Some dreams you have to work so hard for, that they are a special kind of reward when they happen. But like many dreams, being a rock star is a far-fetched one. The “American Idol” ideal takes so much talent and great gobs of luck, that I never for a second tried to pursue it. Besides, when American Idol started, I was 34, eight years past the cutoff age. 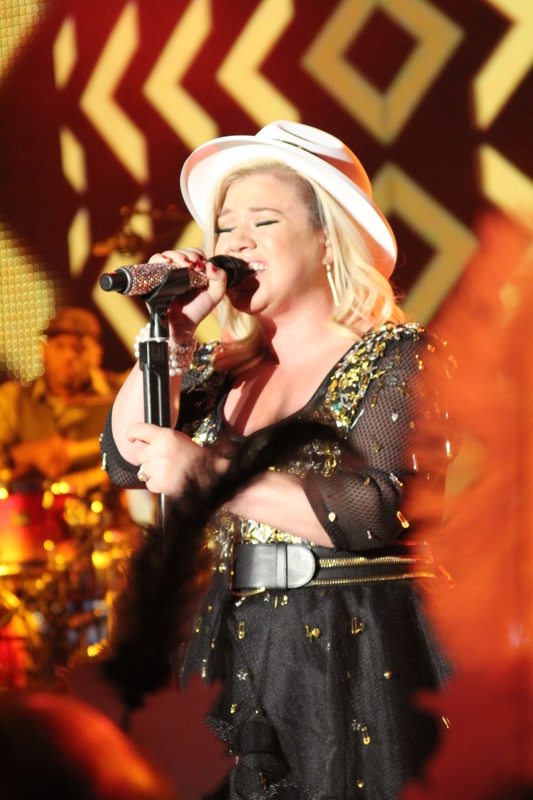 Someone I can relate to: the first American Idol winner, Kelly Clarkson, performing at the MGM Grand Vegas VIP New Years Eve event. But sometimes you get a sampling of a dream come true, even without trying. This has been the “Summer of National Parks” on our US tour via motorcoach — Arches, Grand Canyon, Smokey Mountains, Yosemite, Yellowstone, Glacier, Badlands! And National Parks mean WILDLIFE! 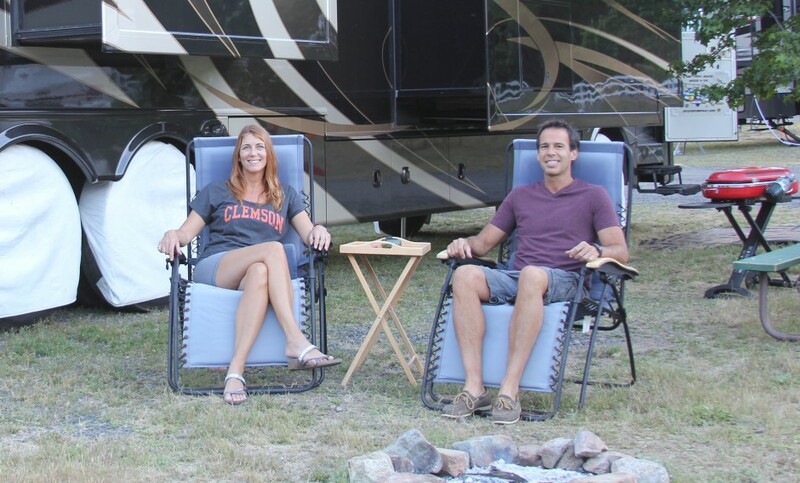 Our summer has been a glorious one with agreeable weather, beautiful RV parks, incredible scenery and lots and lots of amazing wildlife. My favorite wildlife sighting was our first mountain goat in Glacier National Park — and I just happened to catch it all on video! I love animals. To me, it isn’t much of a vacation until you see the wildlife. Mitch will attest that I walk down trails, calling, “Mountain goats, where are you? !” or “Now is a good time for bighorn sheep to appear, hint, hint!” And sometimes it works. Here are some neat amateur pictures and videos captured by Mitch and I. Mountain goats and bison and bears, oh my!